More and more research is being released indicating a connection between sleep apnea and diabetes. Specifically, obstructive sleep apnea (also known as OSA and defined as when the muscles in the throat relax and block the airway during sleep) has been proven time and time again to play a direct part in causing insulin resistance, glucose interlace, and type 2 diabetes. Individuals who are diagnosed with or may have obstructive sleep apnea are therefore at risk for developing both symptoms of OSA in addition to a long-term metabolic disorder. Most people are familiar with and can give a vague description of how diabetes affects the body. If an individual knows someone specifically with Type 2 Diabetes, the lifestyle impacts that it imposes on a diabetic person can be blatantly seen. As defined by the American Diabetes Association, diabetes is medically defined as "a problem with your body that causes blood glucose (sugar) levels to rise higher than normal. This is also called hyperglycemia. Type 2 diabetes is the most common form of diabetes. If you have type 2 diabetes, your body does not use insulin properly. This is called insulin resistance. At first, your pancreas makes extra insulin to make up for it. But, over time it isn't able to keep up and can't make enough insulin to keep your blood glucose at normal levels." When blood sugar levels are left uncontrolled, an individuals who have Type 2 Diabetes may be endangering their lives unless they take steps towards addressing the root cause of their condition. For those who suffer from a sleep disorder, sleep apnea may be the primary cause and culprit for the development of diabetes. According to Dr. David Marrero, the president of healthcare and education at the American Diabetes Association, untreated sleep apnea is directly linked with increased glucose and poor quality of life resulting from chronic fatigue. "It's also associated with cardiovascular disease, which is why it's so important for people to get their sleep apnea diagnosed and treated," Marrero says. Marrero asserts that the connection between sleep apnea and type 2 diabetes has a great deal to do with obesity. Those who have type 2 diabetes oftentimes struggle with weight gain. This increase in weight means that type 2 diabetics carry large amounts of visceral fat that surrounds the organs. This visceral fat causes the tissues in the neck and throat to fall into the airway and can result in a blockage. 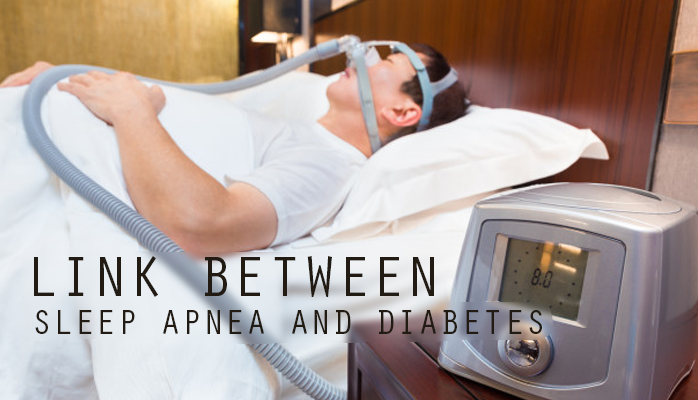 Additionally, sleep apnea plays a role in the development of diabetes because of the increase in blood sugar levels that surge as a result of stress caused by chronic sleep deprivation. According to Marrero, the body produces stress hormones that releases stored glucose into the liver. The increase in blood sugar levels contributes to insulin resistance. As Marrero said, it is crucial for someone to get assessed by a sleep specialist if they believe that they may be at risk for the dangers presented by type 2 diabetes triggered by sleep apnea. These two conditions coexisting could present a highly dangerous combination. 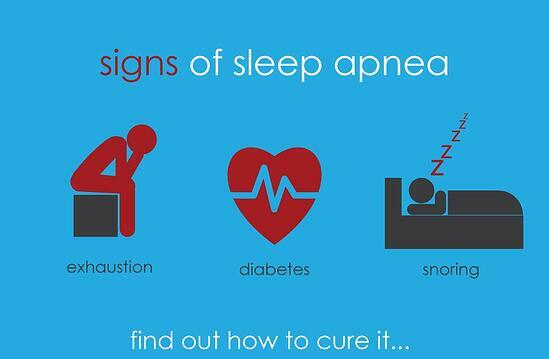 Therefore, seeking care by getting treatment for sleep apnea could be a life-saving decision you make. Fortunately, scheduling a consultation for sleep apnea is made easy by calling the office at the Anchorage Sleep Center. Phone numbers for an office nearest to you can be found at the bottom of our webpage. You can also send us a message online at your convenience. We look forward to speaking with you, assessing your symptoms, and helping you get on the road to recovery. Understanding a sleep apnea diagnosis is the first step towards getting a restful night's sleep, eliminating the symptoms of chronic fatigue, and reducing the risk of developing type 2 diabetes.